A simple inventory can either mean the process of making a list of items in storage, or the list itself. An inventory list typically contains a list of items or things, such as contents of storage areas, goods in stock, materials and equipment, etc. Inventory examples lists can be useful in keeping track of the items used by a company in its day-to-day activities and operations. An inventory list is a useful tool that allows the company head to monitor the movement of goods in and out of the company. 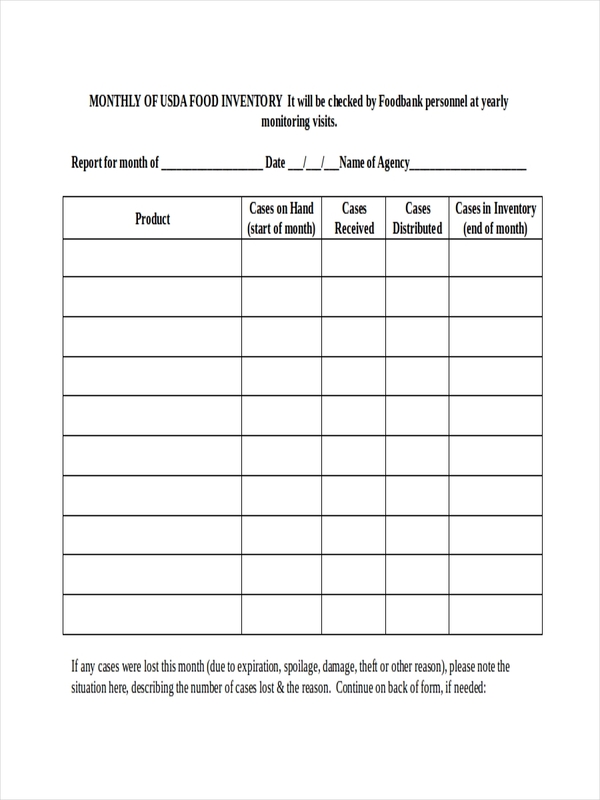 What Is a Food Inventory? A food inventory is a type of inventory which primarily lists food items or products in stock. Different food inventories contain different information. A typical inventory usually include food items, including a description for each one, price for each item, and categories in which the food items fall. Some people prefer to use a blank food inventory (having blank spaces intended to be filled up during an inspection) to easily write down the items during an inventory or inspection. 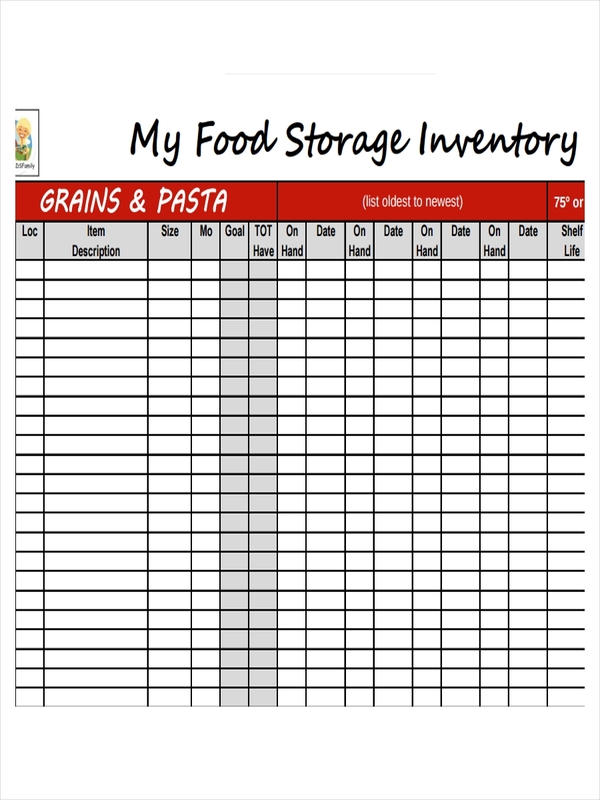 A food inventory is, in most cases, hotel restaurant owners and people who need to keep track of their food storage area on a regular basis. A food inventory, like other inventories, is used to monitor the goods in stock (in this case food items), and the amount or number. 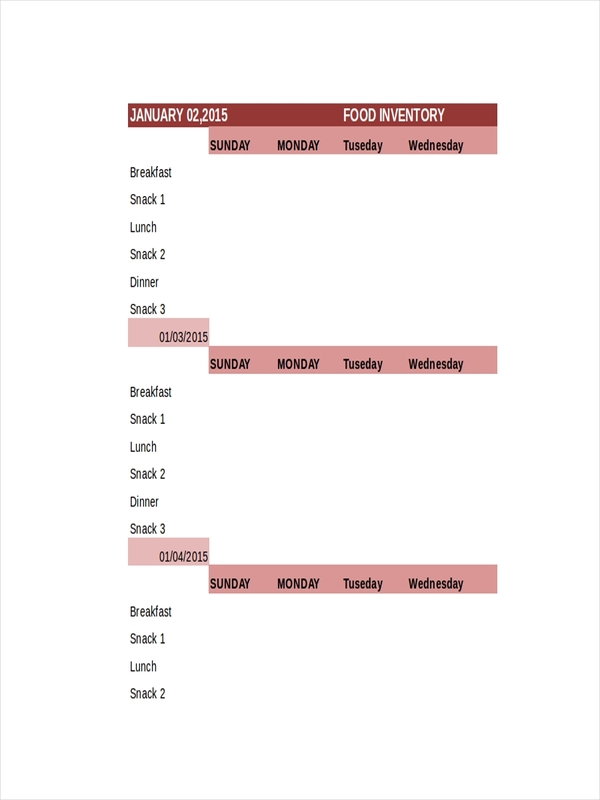 Aside from that, a food inventory is also used to organize and manage the food items into different categories. By doing this, managing the the food items, and the storage area in general will be easier. Also, most food items are considered as perishable goods, meaning they lose freshness, and expire after a certain amount of time. This allows one to list down the factors which may possibly affect the food items in any way. 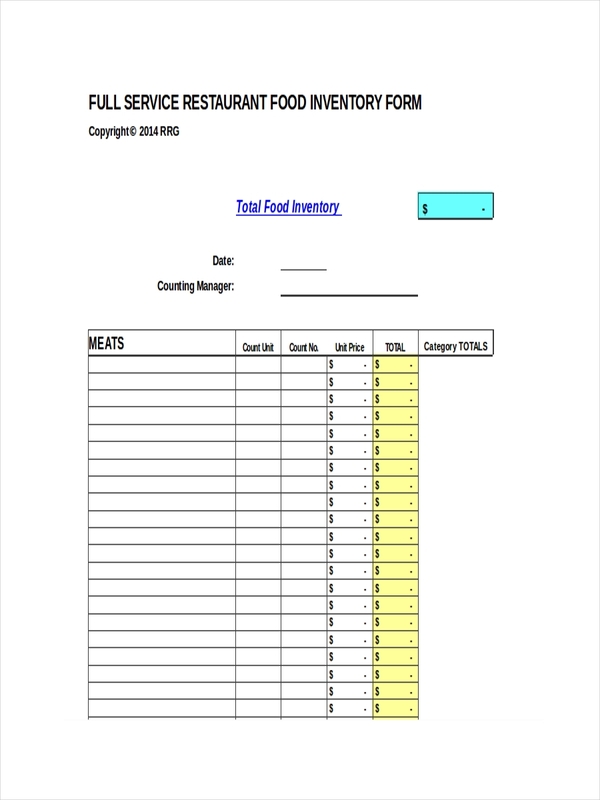 Keeping a restaurant inventory list enables one to conduct a food inventory regularly and effectively. Identify your purpose in creating an inventory sheet. Carefully consider the points to be included in your sheet. Create a spreadsheet or table where you can input the data you gather. Create different labels or divisions in your spreadsheet to organize the information. Input information in your inventory sheet. 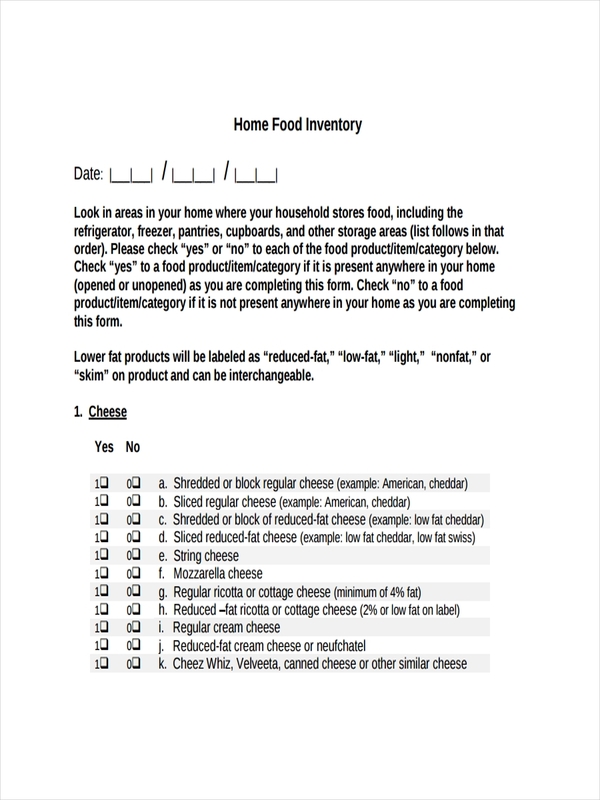 Create a list of food found in your storage area beforehand to familiarize the different food items in stock. 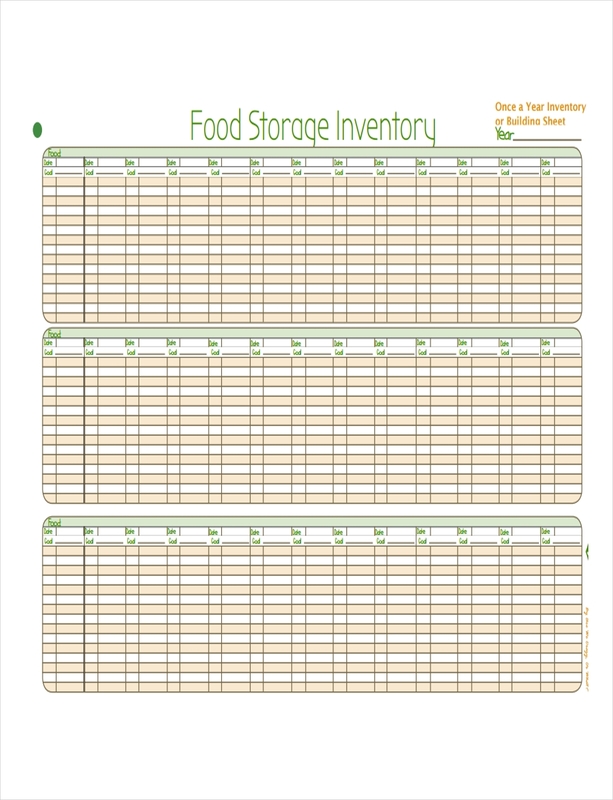 Create different categories to organize the food items in your storage area. You may use different units of measurements in identifying the number or amount for each item. You can write the items beforehand, leaving a space for the measurements you’ll gather during the inspection. If not, you can have a blank free inventory, where you’ll have to write the items during the inspection. Check your inventory for errors, especially after conducting the inspection.